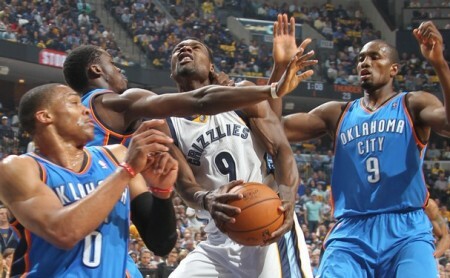 The Oklahoma City Thunder defeated the Memphis Grizzlies 120-109 on Saturday to move onto the 2nd round of the playoffs. But before we move on, here’s 5 thoughts about the series that was. 1. The Overtimes and the plays leading up to them. Four consecutive overtime games. Let that sink in for a minute. Your adrenaline pumps and heart races for one overtime game. But four…..in a row. The life span of the average Oklahoman (and Memphian, for that matter) probably dropped by about 2.5 years in this series. But the overtimes only tell half of the story in those four games. Game 2: Set-up – Thunder down by 5 with 18 seconds to go. Fall away 3-pointer by Durant in the corner while being fouled by Marc Gasol. Free throw good. Thunder down 1. Free throw by Mike Conley. Grizzlies up 2 with 12 second left. Russell Westbrook 3-point miss rebounded by Kendrick Perkins who goes up for a put-back with no time on the clock. Tied game. And on to overtime. 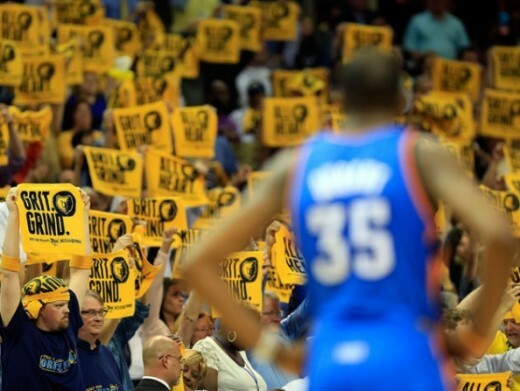 Game 3: Set-up – Thunder down by 17 with 7:30 minutes left in the 4th quarter. Thunder go on a 17-0 run to tie the game at 81 with 57 seconds left. Tony Allen lay-up to put the Grizzlies up by two with 45 seconds. Tony Allen steal and lay-up puts the Grizzlies up by 4 with 33 seconds left. Russell Westbrook 4-point play ties the game at 85 with 26 seconds left. Each team misses their finals shots. And on to overtime. 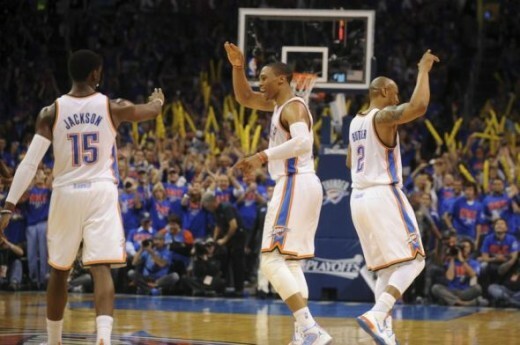 Game 4: Set-up – Thunder down by 5 with 1:20 left, after starting the quarter with a 12 point lead. Reggie Jackson (the only effective Thunder player the entire night) launches (and makes) a step-back three with 59 seconds left. Thunder down by two. After stealing a pass off of Beno Udrih, Durant passes to Jackson who runs off of a pick and roll and scores on a floater with 30 seconds left to tie the game. After a mad scramble on the defensive end in which the Grizzlies had 2 opportunities to tie the game, Jackson ends up with the ball with 4 seconds left, but inexplicably heaves a 60 footer that bounces inbounds as the clock expires. And on to overtime. Allen misses the 2nd free throw, but Tayshaun Prince gets the offensive rebound. After almost getting the ball stolen, Memphis calls a time out. After the time out, Mike Conley dribbles at the top of the key. With the shot clock running down, Conley makes a move towards the basket, but Westbrook reaches across Conley’s body, knocks the ball loose, and takes it the other way for a game-tying fast break dunk. And on to overtime. In all honesty, the overtimes proved to be a bit anti-climatic in comparison to those crazy final minutes in the fourth quarters. When you play the Grizzlies, the one thing that has to be on point is your interior defense. If you don’t have a set of defensive bigs that can combat what Memphis throws at you, then you might as well pack it up. 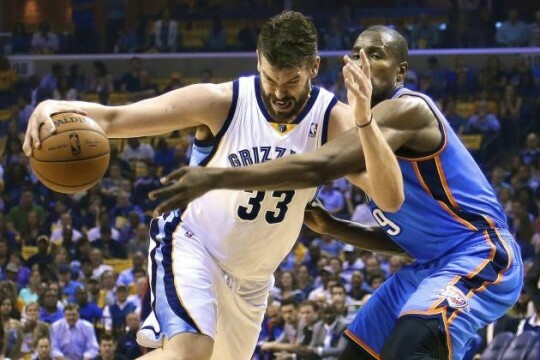 Last season, Zach Randolph and Marc Gasol bore through the Thunder’s interior defense like a hot knife through butter. It was so much of an embarrassment, that Kendrick Perkins felt the need to apology for his play after the series. But this time around, Perkins, Ibaka, and Steven Adams proved up to the task, essentially neutralizing the Grizzlies’ biggest offensive strength. In last season’s playoff series, Gasol and Randolph shot 68/146 (47%). In this playoff series, the interior duo for Memphis shot 89-220 (40%). Everybody talks about the struggles that Westbrook and Durant experienced during the series, but equally as damning for their team, was the struggles that Gasol and Randolph had with scoring. And once Durant and Westbrook got going again in Games 6 and 7, it was too difficult for the the Memphis duo to keep up, especially with Randolph being suspended for the final game. 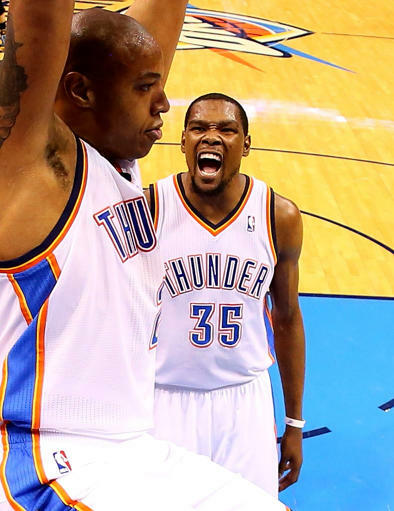 Many people wondered why Caron Butler decided to sign with the Thunder, instead of with the two-time champion Miami Heat. If Butler was title chasing, the easiest route would have been to latch on with Miami and probably be a 9th man for them. But Tuff Juice probably saw an opportunity with the Thunder to not only compete for a championship, but also be a regular part of the rotation. Many people like to label Butler as a champion since he was a member of the Dallas Mavericks team that won the championship in 2011. What many people fail to mention is that Butler had a knee injury mid-season, and didn’t participate in any games for the Mavericks in the playoffs that season. Yes, he got a ring, but I wonder if he feels like that ring hardly holds any weight. Pride can easily turn happiness into a question mark that stays on the mind. So, when Butler’s number was called on to start in place of an ineffective Thabo Sefolosha for Game 6, he showed that he was ready for this moment. He only scored 7 points in that game, but the effect of Butler as a perimeter threat, opened up the lanes enough for Westbrook and Durant to get back in their groove. Reggie Jackson has the hardest job in the world. He has to be the main facilitator and scorer on a bench unit that is about as hot and cold as it gets. 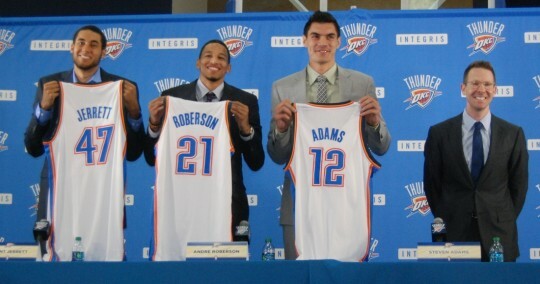 Then he has to be the third option on the floor with Durant and Westbrook. If he does something bad during his time on the floor with the superstar duo, then the spot light shines on him. But if he does something good, then it probably had to do with the fact that Durant and Westbrook took so much of the defense’s attention which allowed Jackson to have an open lane or a wide open shot. Then Game 4 happened. I’ve never seen a situation where two alpha males completely give the reins to the game over to somebody other than themselves. A lot of times, Durant and Westbrook are like the Mike Lowery and Marcus Burnett of the NBA: “We ride together, we die together, bad boys for life”. But in this one instance, whether it was their own insecurities in their play or a new confidence in another player not seen since the Harden days, Durant and Westbrook allowed Jackson to take over the game and in the end, win it for them. 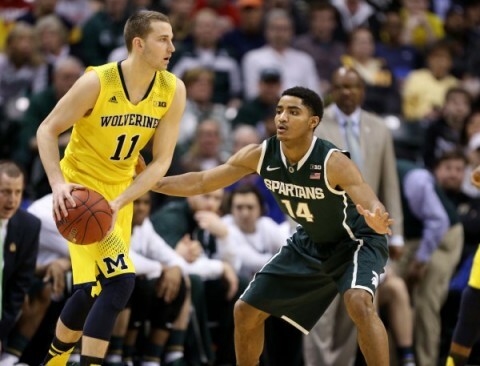 In reality, Jackson saved the season with his mini-explosion in Game 4. Probably the biggest narrative of this series was the slump that both Durant and Westbrook faced in the Games 2-5. Without an unexpected career game from Jackson, the series would have probably been done in 5 games, much like last season. In those 4 games, the duo shot 73-209 from the field. That is a whooping 35% for two All-NBA players. Many media member started playing the Westbrook vs. Durant angle to the point that Westbrook felt the need to address it in an interview after Game 3. Then the Oklahoman decided to print one of the dumbest headlines since the Chicago Tribune declared Thomas E. Dewey the winner of the 1948 Presidential election. Mr. Unreliable. A name that describes many people, namely deadbeat dads, parole violators, and teenagers. Not a name that describes Kevin Durant, the basketball player. If anything, he’s been Mr. Reliable his entire career. The attempted explanation and subsequent apology explained what the headline itself was trying to convey, but the damage had already been done to the newspaper. 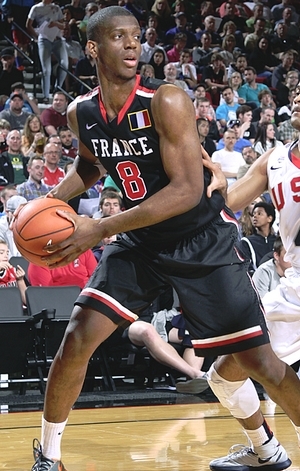 Durant took it in stride, but you could tell that the headline perplexed him a bit. Great players always play their best when the cards are stacked against them. Down 3-2 with an elimination game in Memphis, Durant and Westbrook slowed their games down a bit, and started playing their brand of basketball. In Games 6 and 7, the pair averaged 60.5 points, 18.5 rebounds, and 12.5 assists per game on 54/53/88 shooting. The Thunder needed this kick in the rear end. They slept walked through the final month of the season, and probably had this aura about them that they could turn it on or off at any point in the playoffs. But this season’s playoffs were a bit different. The 7th seeded Grizzlies were probably more of a 3 or 4 seed, were it not for injuries and having to play in the tough Western Conference. 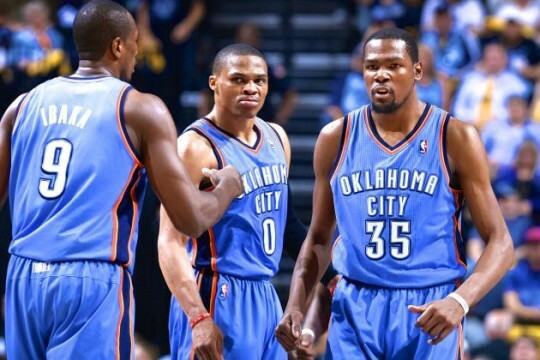 But, the name of the game is surviving and advancing, and the Thunder did just that. If the Thunder are fortunate enough to rack up 12 more victories, they should look back on this series and appreciate the fact that Memphis made them work so hard to get to Round 2. This series has been all about perspective. The Oklahoma City Thunder run the Grizzlies out of the gym in Game 1 and everyone one wondering if Memphis will win a game in the series. Then the Thunder lose Games 2 and 3 in crushing fashion and the national media (a.k.a. the vultures) start to circle around the Thunder’s apparent rotting carcass. Then they win Game 4 in the same nail biting, heart attack-inducing fashion as the last two games, and the pendulum swings once again. Here’s the reality though. Nothing much has changed since halftime of Game 1. Kevin Durant and Russell Westbrook are struggling. The bench, up until Reggie Jackson’s Game 4 explosion, has been abhorrent. And Tony Allen is still, somehow, blowing up every pass that comes his way. 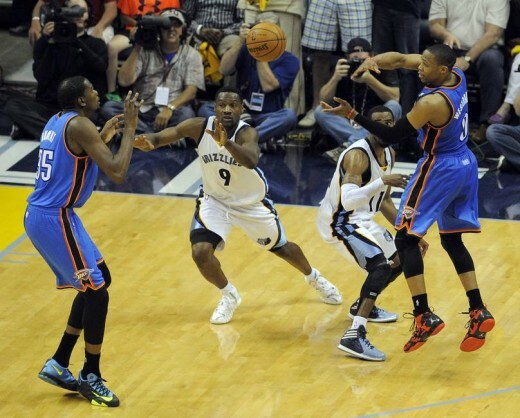 Since the beginning of the 2nd half in Game 1, the Grizzlies have outscored the Thunder 356-351. But with the Game 4 victory, the Grizzlies are now the ones facing the pressure of having to win two of the next three games on the road. I love back and forth series, but I dislike the pendulemic perspectives that come from them. 1. The Little Things – Other than Jackson’s Harden-like coming out party, Game 4 was won on the boards and at the free throw line. 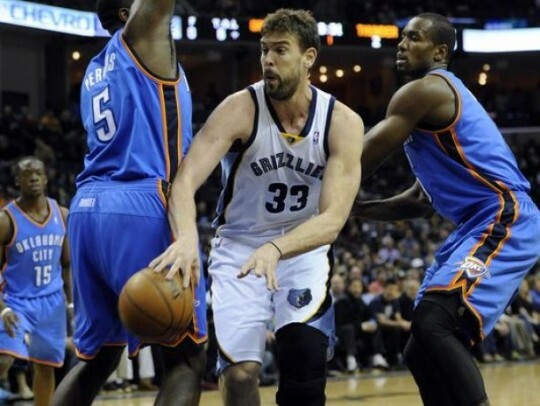 The Thunder outrebounded the Grizzlies 58-49 in that game, with 20 of those being offensive boards. And the Thunder shot 90% from the charity stripe as opposed to the 56.5% put up by the Grizzlies. They say every possession counts in the playoffs, but more than anything, especially in a close game, it’s the little things that become the deciding factors between winning and losing. 2. Reginald Shon Jackson – First off, you don’t see many people that spell Shon in its correct phonetic fashion. I’ve seen Sean, Shawn, Shaun, but never Shon. Must be an Italian thing (he was born in Italy, if you didn’t know). There are probably a lot more people in the world today that know those two factual tidbits now, that didn’t know them three days ago. Jackson not only saved the game for the Thunder, but he may have saved the season and he may have saved Scott Brooks’ job. If the Thunder would’ve gone down 3-1, it may have been a hole that would’ve proven too difficult to climb out of. So, which Reggie do we get for Game 5? The Thunder NEEDED Jackson to do what he did on Saturday. It’s impressive when Durant and Westbrook are basically handing you the steering wheel to the game, and you get the job done with ice water in your veins. But let’s not forget the horrible performances in Games 1-3 (5.0 pts/4.3 rebs/3.0 asts on 15.8% shooting (and 0/6 from 3-point territory). 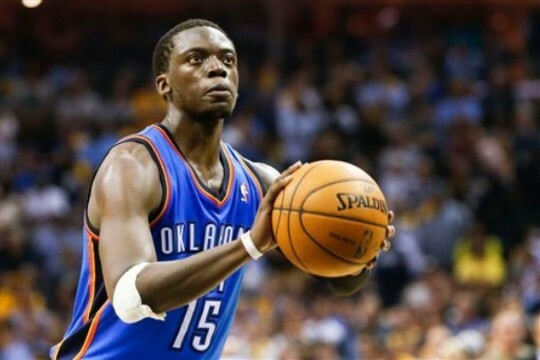 The Thunder would love Game 4 Reggie every game. 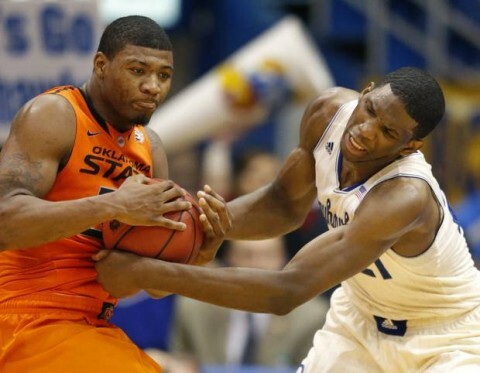 But, if Reggie sticks to his regular season averages of 13/4/4, the Thunder should be okay. If found, please contact Sam Presti at 281-330-8004. A guy named Mike Jones might answer. 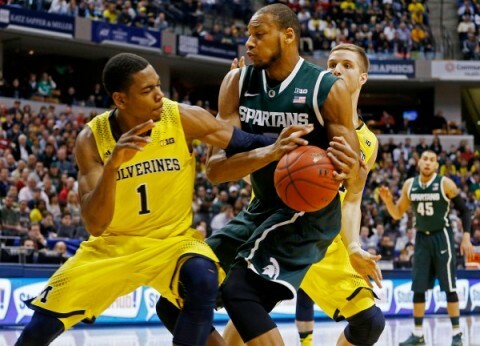 Their struggles have been the main reason why the last three games have been so close. If these two guys shoot anywhere close to 42%, these three games aren’t even close.